Interior painting seems to be so much trickier than exterior painting in both residential painting and commercial painting projects. It’s true, whatever colors you paint the exterior of your house you’ll have to live with for the next 20 years, unless you move, but the interior of your home you won’t just have to live with it, you’ll have to be up close and personal with it every single day. So, when you start pondering how you can redecorate and spark new life into your rooms, your eye often travels to the blank, white expanse that is your walls. While a residential interior painting job is a great place to start adding freshness and character to any room, it can be truly daunting when you’re trying to find a color that works with your vision. What’s worse is that most folks just scroll through some Crate & Barrel example designs and think that they’ve got an idea of the color they want. Carolina Painting and Pressure Cleaning would gently urge you to do a touch more in the way of research for this pretty big decision before deciding on a paint color that might not suit your needs. The trick is to use these trendy colors as brainstorming kickstarters, rather than gospel. Thus, we’ve collected a few color trends for 2018 that are versatile enough to round out a room and give it character while also offering options that you can wrap your mind around, rather than if you’ll have to buy the corresponding table within the example photo. While 2017 was defined by the warm, summery green tones meant to reflect foliage, as well as warm, neutral colors and muted, creamy accents, this year is rounding out to prefer more serious and totally sophisticated coloring options. This year, you can expect to see metallic accents treated like neutrals and you’ll probably see ultraviolet, Pantone’s color of the year everywhere. This year seems to be defining itself by making bold color choices, so, although we’ve spent a fair amount of time cautioning you against making rash decisions, we think it’s important to recognize your own style and commit to it because these bold color trends will make that easy for you. Don’t think mustard shades, think of sunshine shades. These on-trend yellows that are full of life and vibrancy are perfect for that distinctly South Carolina flavor. Taking advantage of the quaint and beautiful southern character that surrounds Columbia could be an inspired idea. The warm, well-rounded section of the yellow color palette is known for honing that organic and all-natural feeling while providing a spot of happiness in any room. It works well as an accent color, but it’s also a great way to successfully brighten an entire room. If you favor cream colors and blue tones, the dreamy, lighter yellows will pair perfectly with them. Intrigued by the out-of-the-ordinary color suggestions from designers in-vogue this year? Be sure to watch our blog for our next color profile and how we recommend pairing and balancing the color selection that pleases you the most. 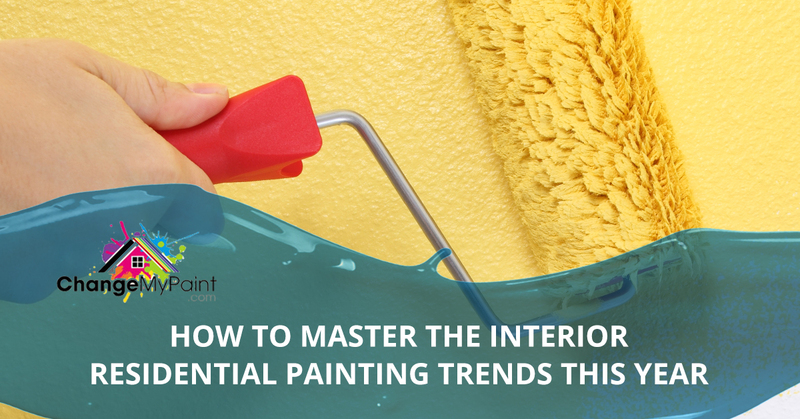 Exciting residential interior painting options don’t have to be tapered and calmed down when you understand color theory and all its intricacies. Reach out to Carolina Painting and Pressure Cleaning for more than just color advice. We specialize in quality residential painting projects that will leave you satisfied with an updated room and a color palette that fulfills your style aspirations.